Reading Rainbow is back! Well, sort of. Recently, LeVar Burton launched a new podcast inspired by his classic PBS TV show. 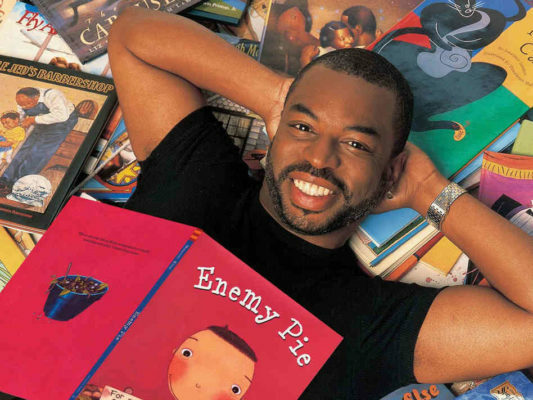 Hosted by Burton, Reading Rainbow featured the Star Trek star reading books to children. The show would often center around a theme explored in the book and offer further reading recommendations. The award-winning program ran from 1983 to 2006, making it one of PBS’ longest-running series. Burton’s new podcast, titled LeVar Burton, is basically a Reading Rainbow for adults. Each episode features Burton reading a work of short fiction. The podcast is available through Stitcher here and new episodes are released weekly. What do you think? Did you watch Reading Rainbow as a kid? Will you listen to Burton’s new podcast? More about: PBS TV shows: canceled or renewed?, Reading Rainbow, Reading Rainbow: canceled or renewed? Grantchester: Season Three Renewal from ITV; Is PBS Next? Reading Rainbow: Why Is the Cancelled Show Leaving the Airwaves after 26 Years?